Need a florist to send gorgeous fresh flowers to North Sydney? Our award-winning flower shop offers same delivery if you order by 11am weekdays and 9am Saturdays. Need to send gorgeous flowers to North Sydney? Pure Flowers is here to help! 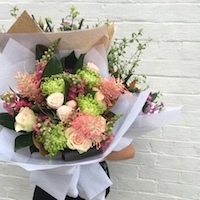 We deliver beautiful fresh blooms from our award-winning florist to North Sydney. Our blooms are hand selected from the Sydney Flower Market. We create the freshest floral arrangements. We have flowers for all occasions – birthdays, congratulations, sympathy or just to say 'hello'. Pure Flowers is a boutique florist Sydney's North Shore. Our talented team delights in creating unique floral designs to help you celebrate life’s special moments. We hand-select the loveliest blooms to create fabulous designs for every occasion. 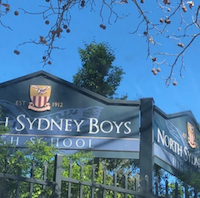 Many people think of North Sydney as Sydney's second CBD. There are many commercial offices, education facilities and a dining hub. The business district has a large concentration of information technology and advertising industry offices. 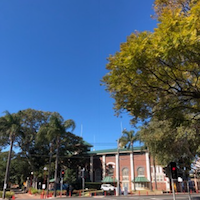 The suburb is dotted with many heritage listed buildings and has many places of interest such as the Mary MacKillop Museum and the historic Greenwood Hotel, originally a public school founded in 1878.